Friday the 13th. Not really as scary as history (or horror movies) has made it out to be. But not exactly spectacular, either. However, we guess that the folks at So Others Might Eat (SOME) aren't superstitious, because they're throwing their annual Junior Gala that night. For the first year, the gala (and seriously, gala? When was the last time you attended a bona fide gala? And inauguration doesn't count because that was a ball!) 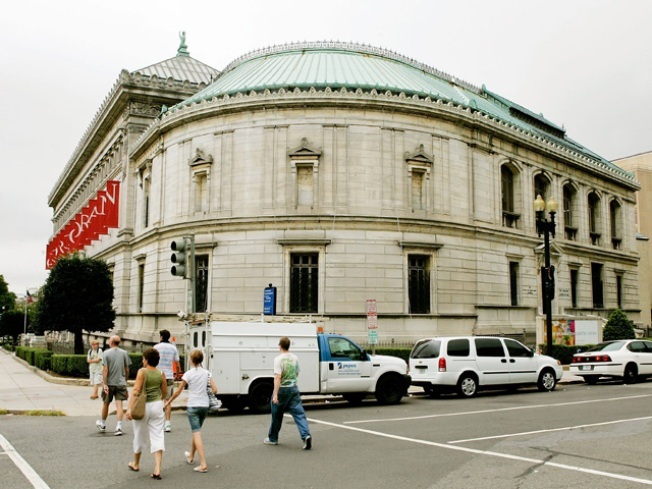 will be held at the Corcoran Gallery of Art, which is actually closed for renovations until March -- so this is like, a sneaky spy way to gain admission. And the Corcoran seems like us to be a damned good place to throw a party. Well, except for the part where you have to tackle those marble stairs in heels after a few glasses of champagne. The Junior Gala is aimed toward "fabulous young professionals" (why, thank you, we ARE fabulous) to benefit the Thea Bowman House for homeless and poor families. This program offers transitional housing for 14 families, helping participants learn career skills, counseling and activities for kids. Donating toward that -- while sipping cocktails, no less -- seems like a pretty sweet way to spend a Friday the 13th.